* Menu selection may vary by location. Our special blends of sauces and signature pizza crust have made Vanellis pizzas a customer favourite for years. With a wide selection of traditional favourites and fresh new flavours, our pizzas are always oven fresh and ready to enjoy. 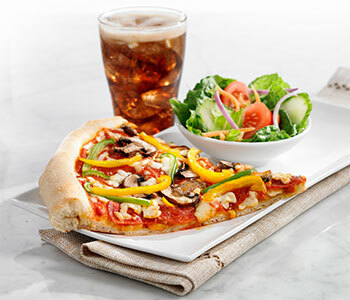 Available by the slice, as a full 10” pizza, or as a half pizza combo with your choice of a salad, half pasta or pop. Our pastas are always made fresh to order. Whether you choose from one of our classic pastas or make your own special creation, watch as our chef prepares your unique creation right in front of you. All pastas are served with a garlic wedge. Enjoy your favourite pizza toppings nestled in the centre of a fresh calzone or tucked into a golden Stromboli. Served with a side salad or fries. 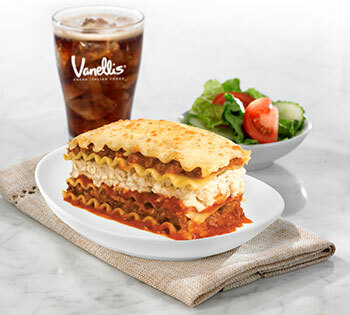 Vanellis baked pastas are always served hot and fresh. True Italian flavour, baked into every bite! Served with a salad and garlic wedge. Enjoy one of our classic Italian sandwiches or try a fresh new flavour. 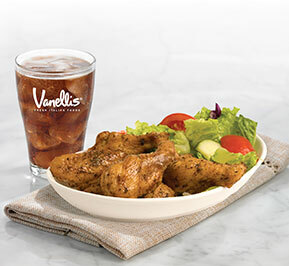 Vanellis offers a variety of hand tossed salads. 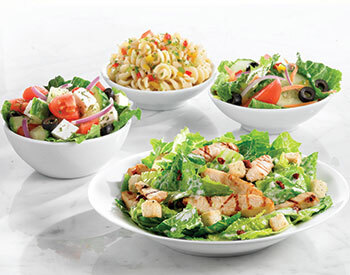 Our Caesar salads are always made fresh to order! Enjoy a small or large, both served with a garlic wedge. Vanellis offers products containing crustaceans, sesame seeds, soy, milk, eggs, tree nuts*, wheat or triticale, peanut, gluten**, mustard, sulphites and other allergens. While we take steps to minimize the risk of cross contamination, we cannot guarantee the total absence of any allergen or that any of our products are safe to consume for people with allergies to such. If you think you may be allergic to any ingredient contained in any of our products, please consult your physician prior to consuming. * tree nuts includes: almonds, Brazil nuts, cashews, hazelnuts, macadamia nuts, pecans, pine nuts, pistachios or walnuts.